Welcome to our first report for the Munich Show 2018. This is the largest European Mineral Show and Crystal Classics and UK Mining Ventures each have a booth. This time we are going to start our show report a bit earlier than the actual show and let you have a look at how we prepared for a show as large as this back at our UK HQ. 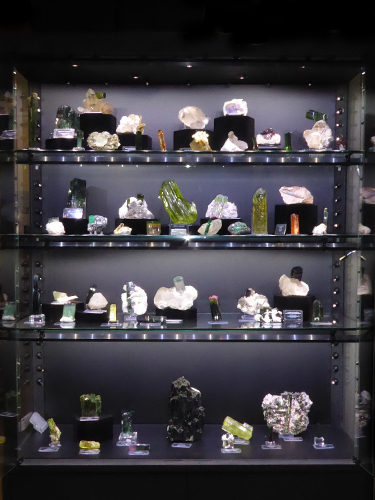 One of the biggest tasks is the preparation for the minerals in the showcases. Each showcase is first set up by Diana so that when the team arrive in Munich they know how to get the displays completed as efficiently as possible. So this gives us the possibility to show you some specimens we are taking before our lorry leaves. The specimens in this cabinet are from all over the world and are aesthetically very pleasing. An interesting specimen; an Opalised Belemnite from Coober Pedy, South Australia. A Tourmaline from Santa Rosa Mine, Itambacuri, Doce Valley, Minas Gerais, Brazil. A well-formed single crystal of Titanite on matrix from Capelinha, Jequitinhonha Valley, Minas Gerais, Brazil. A very nice watermelon coloured Elbaite from Cruzeiro Mine, São José da Safira, Doce Valley, Minas Gerais, Brazil. A wonderful cut piece of Black Opal with a magnificent blue-green iridescence. Quite a large specimen with large blade like crystals of Ferberite. Tazna Mine, Atocha-Quechisla Province, Potosí Department, Bolivia. A nice specimen with deep intense blue crystals of Azurite. Bisbee, Warren District, Mule Mountains, Cochise County, Arizona, USA. A single gorgeous "wing" of Rhodochrosite from the well-known locality in Argentina. Capillitas District, Andalgalá Department, Catamarca, Argentina. A great piece with light orange-red crystals of Zincite from Franklin Mine, Sussex County, New Jersey, USA. A rich blue specimen with Caledonite and Leadhillite. Mammoth-Saint Anthony Mine, Tiger, Mammoth District, Pinal County, Arizona, USA. Gratonite from Cerro De Pasco, Pasco Province, Pasco Department, Peru. Michigan Bluff District, Placer County, California, USA. A wonderful specimen of light blue spheres of Willemite from the famous Tsumeb Mine, Oshikoto Region, Namibia. A Rosasite psd. after Malachite from Tsumeb Mine, Oshikoto Region, Namibia. This is quite an interesting piece, which is now SOLD. This sphere of quartz crystals have inclusions of Cuprite var. Chalcotrichite in the which provide them with the red colour. Tsumeb Mine, Oshikoto Region, Namibia. A very rich specimen of Bayldonite from Tsumeb Mine, Oshikoto Region, Namibia. Luckily we have our whole team to help us prepare for this show even if they aren't all coming to the show. Chris is helping with re-pricing everything into Euro. Lyndsey is busy ironing the banners for the show. Shayne is very much needed for continuing technological support. Phil is having a break from his describing work for the website to help us prepare the specimens for the show. 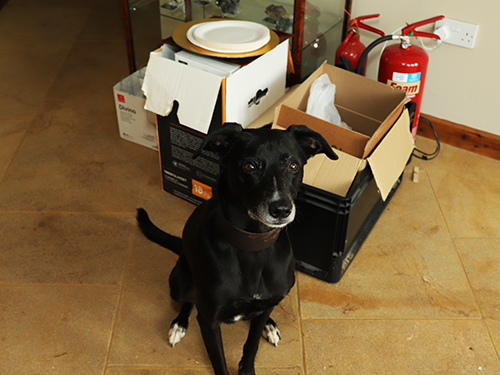 Ali is busy checking that all the specimens are ready to be loaded onto the lorry. 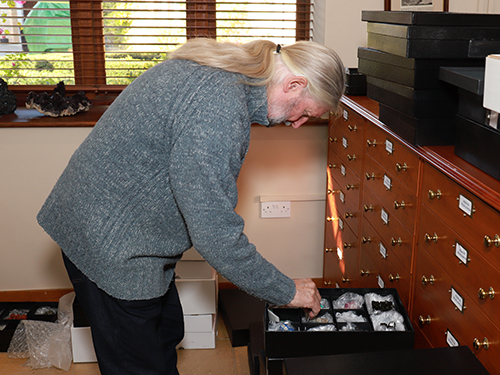 Steve is trying his best to pick some specimens for one of the upcoming updates. 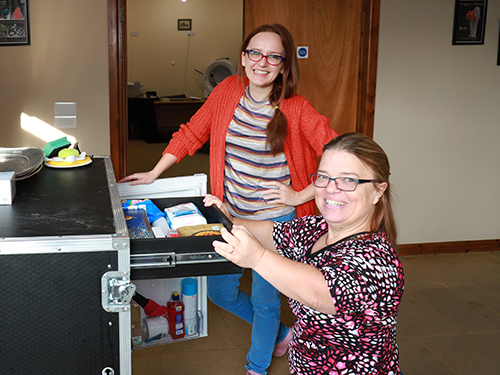 Olga and Gillie taking a break from their normal jobs and are preparing one of the most important flight cases - the kitchen! 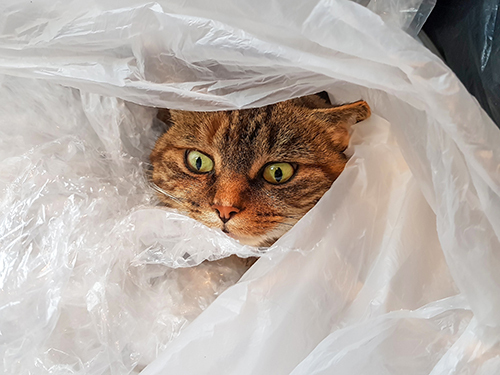 And finally, one of the most important jobs within the office is guard duty which is beautifully executed by Wolfie and Minky. Although, they both have a very different approach to guarding. 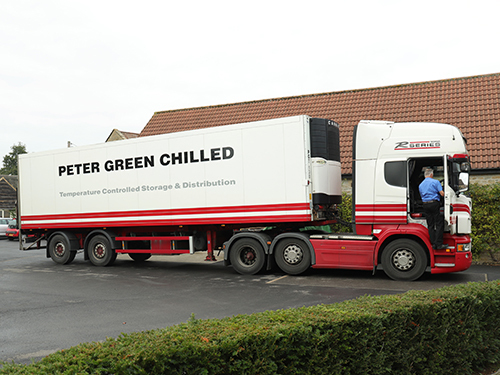 And then everything is loaded onto the truck and ready to be shipped to Munich! The show team look forward to seeing you there.